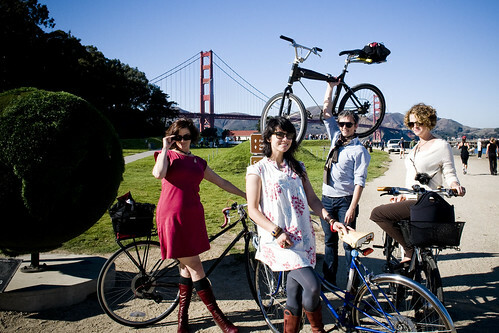 Cycle Chic Bike Gang - SF 09. The very best thing about having launched this strange cycle chic movement is that I have had the opportunity to meet so many like-minded individuals on my travels. Especially people with whom I developed online friendships under the exquisitely tailored cycle chic banner. It's always brilliant to shake these hands, kiss these cheeks and look these people in the eyes after ages of communicating in text and photos. Whether it be in Moscow, Budapest, Czech Republic, NYC, Tokyo, France, Riga and so on. I must admit, however, that the experience peaked last week in San Francisco, when i hooked up with a posse. 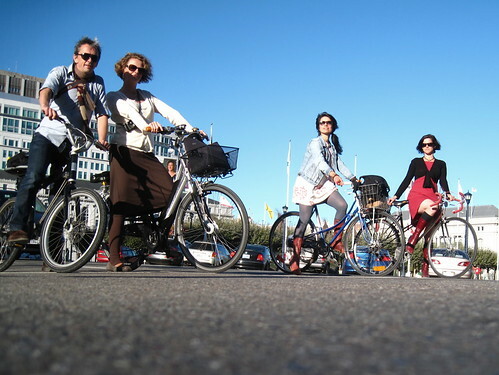 A group of women who, for me, personify everything I've wanted Cycle Chic to be and who take the concept to new levels. I found myself looking so much forward to meeting them and I wasn't disappointed. This is traffic... get used to it. I don't know what it is about San Francisco. The concept of cycle chic seems to go hand in hand with the city. And in that city there are 'roll' models that do so very much for advocating normalising the bicycle once again. They have their finger on the pulse of the emerging bicycle culture in the city and they are surfing the wave in style. They are active in advocacy but their mere prescence on their bicycles in their regular, funky/elegant/cool/chic clothes is the best form of advocacy. These girls got it ALL goin' on and they are selling the re-democratization of cycling every minute of the day. 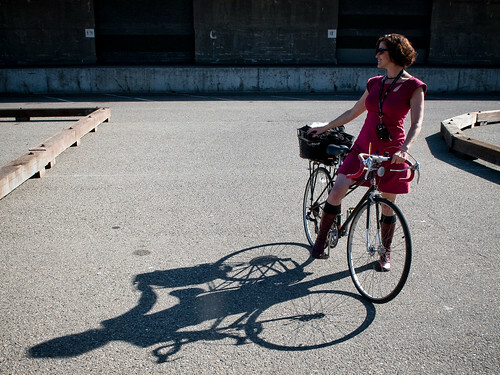 First up you got Kristin, mastermind behind the Velovogue blog. Of all the copycats and collaborators who have started cycle chic-like blogs, Kristin is one whom I've hit it off with from the start. She is the first one who I really considered a collaborator. 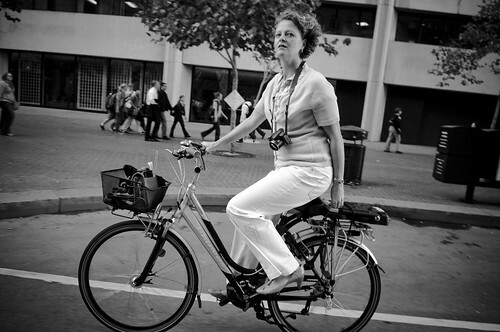 Hanging with her and seeing her navigate the streets on her cool mixte was a pleasure. Up and down the hills we went. Kristin and I both originate in the film/tv industry so we had loads of 'shop talk' but really, it was all about bicycles. Here you have Kristin and Adrienne before we headed out on a 'bike ride' - something you apparently do in Emerging Bicycle Cultures. :-) Adrienne has long ranked super high on the list of sharp, bright commenters on this blog and especially over at Copenhagenize.com. Her humour certainly lacks nothing at all either. Adrienne blogs at Velovogue, too and she writes/photographs at her brilliant Change Your Life, Ride a Bike blog, as well. Adrienne rides 'the heaviest bicycle in San Francisco', although it wouldn't even make the top 30,000,000 in Europe, let alone Asia, and yet she rides so effortlessly. Even up the hills. All the while relaying a constant encyclopædic flow of information about the history of the city or the status of bicycle culture in this or that neighbourhood. A goldmine of information and a Tiffany's of humour. Such dedication to the cause of promoting cycling positively, too. Then you have Meli. You can't forget Meli. from Bikes and the City. She also founded Change Your Life, Ride a Bike with Adrienne. This photo really sums her up. She can strike up a conversation with every [wo]man and his/her dog. With such ease that the first 150 times I was sure she had known the individual since grammar school. What a brilliant character trait to behold. 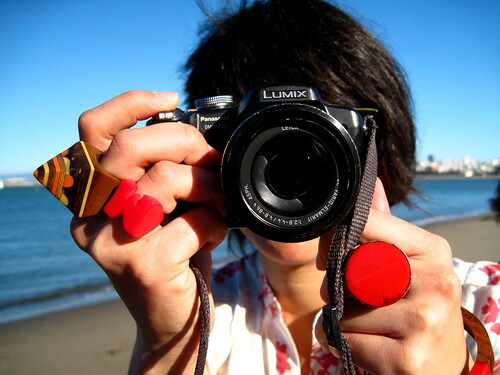 Even people just walking down the street recieved a bike bell 'ding' and a pleasant or cheeky comment. Actually, there was no real pattern to her bell ringing. I think she just likes ringing her bell. Which is cool. These three bikeissima cycle chicistas took such very good care of me in San Francisco. I had to teach them how to drink margueritas and they showed me what the hell a 'bike ride' was as we headed out to the Golden Gate bridge the day after Critical Mass. Three amazingly passionate advocates for normalising cycling and they all do it with ease, grace and style. When I started these blogs I didn't have a clue what a 'bicycle advocate' was. Meeting these women and I now know the definition of the phrase. 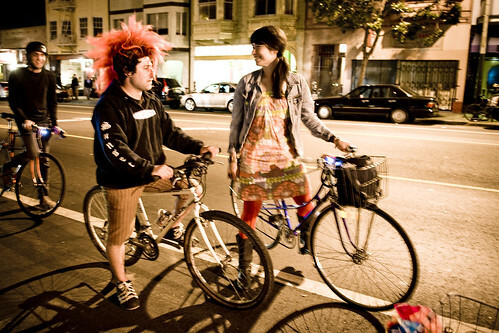 The International Cycle Chic Convention in San Francisco 2009 lasted for more than 24 hours. It involved a lecture [by me] and then quickly progressed into a Halloween Critical Mass before moving to an Ethiopian meal at a restaurant in Mission whereafter it morphed into margueritas at a mariachi joint and then beers at a... bar. Pause for sleep and then coffee, bike ride, coffee, bike ride, etc. on a brilliantly sunny SF Saturday. I couldn't wish for a better time with better hostesses with the mostesses. Above you can see photos of the ICCCSF2009 and you can also see other members of the posse, including the lovely Lilia of LiliaPilia and the wonderful Melissa. Not to mention Didrik and Caryl and The Man Erik Zo. Cycle Chic isn't going anywhere anytime soon. Not with these kinds of people selling the idealistic product for the Common Good. And all the anti-cycle chic hatred you can muster won't make a difference. There are more positive advocates of urban cycling than you can shake your handlebars at. All working at Marketing the Simple Bicycle Lifestyle. I left my heart in San Francisco. Thanks, ladies, for a brilliant time. I thought Meli was with BIKES AND THE CITY ? san francisco and copenhagen. two of the finest cities filled with beautiful folks who love riding two wheels. from vesterbro to the mission! frederikstad to pacific heights! We can't wait for you to come back. what a great riding an reading relationship. its great to see bikes helping to build bridges. bikes?! i'm in this gig for the margueritas! margaritas. arrrr, arrr. this is such a lovely post! great job describing the ICCCSF 2009. :D -- the other mely. What an awesome Cycle Chic posse - you guys are such an inspiration! Keep up the wonderful work. Mikey - u sucha rockstar! come back for more drinks on me! cool! cool! cool! ...am jealous! jealous! jealous! didrik- I was sad to see he hadn't! Nor had his equally naked partner! No visit to SF is complete without a hairy naked man sighting. I mean, really, does tradition mean nothing anymore? PS. 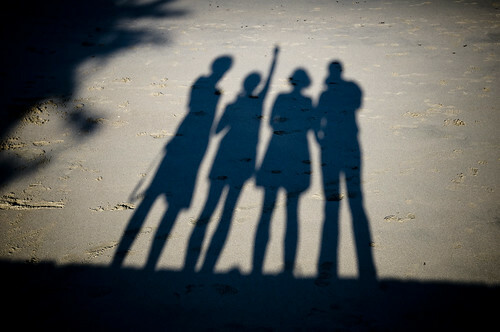 I love the shadow shot as the final photo in the sequence. Nice and inspiring post. But - labeling a quite reasonable comment about the ideology behind "bike chic" as "all the bike chic hatred" is a bit strong, no? maybe you should watch your narcisism level once in a while and stop whining, you are a brave controverter so you would look better if you also could take a slap.